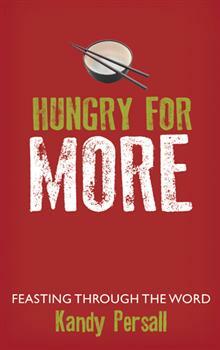 I’m guest posting today over at my friend Kandy’s blog, Hungry for More. Kandy has been a wonderful blessing to the Throne of Grace ministry! Years ago, (when we were called How to Pray Cards) and it was just me by my lonesome steering this ship, Kandy made a purchase through my Etsy shop. Several weeks afterward, seemingly out of the blue, she emailed me a beautiful prayer that she said the Holy Spirit had laid on her heart to pray for me and for my business. The prayer was quite lengthy, with scriptures woven throughout of specifically how she was praying. And as only God can do, He had spoken to Kandy’s heart and told her exactly what I needed to hear that day She had given me the perfect words of encouragement, as well as some words of conviction and challenge that I needed to hear! Since then, we’ve been cyber-world friends and we’ve enjoyed being able to follow and pray for one another’s ministries. Kandy has spent much of her adult life living in Asia, and has recently written a book sharing her experiences and lessons learned from the Lord, also called Hungry for More: Feasting Through the Word. It is an honor for me to share some space on her blog today. I hope you will all stop by and visit, find out how a shampoo bottle has shaped my understanding of mercy, and leave Kandy a comment to let her know you are a friend of mine! Then be sure to come back here tomorrow for Throne of Grace Thursday and I’ll have some practical tips on showing mercy to a watching world! 6 More Days to Shop and Save! It’s Prayer & Praise Monday and truly such a privilege to be able to join you at the Throne of Grace today. We have some wonderful praises to share, so I’ll get right to it! • Praise God for some wonderful news for our friend Lori and her son Jacob. If you remember, Jacob is battling stage 4 Hodgkin’s disease. He recently had x-rays taken and his tumors have shrunk substantially following his first round of chemo. Jacob will be admitted to the hospital today for his second round of chemo. Let’s praise the Lord for this hopeful news and continue to lift up this family as they begin round two. Pray that Jacob would be strengthened mentally and physically with the Lord’s peace, protection, and healing. • Lauren’s MOPS group in Fairhope, Alabama had a wonderful first meeting! 28 women showed up and were very encouraged. They will be meeting for the second time this Wednesday. Please be praying that God would raise up someone for their leadership team who is passionate about teaching children about Jesus. Many of the moms and children that attend MOPS may not attend a church on Sundays and MOPS is the only time in the week that these children may hear about Jesus. 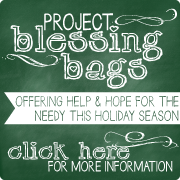 Please pray with Lauren that God will provide godly workers and a team leader for this need. • Please pray for Throne of Grace’s own Deb as she is traveling this week visiting family in Ohio. Deb has not been feeling well on her trip and often struggles with health issues when she is away from home. Pray that she would regain her strength and be at 100% so she can enjoy her time with family and friends to the fullest! • Tami shared an update on her father-in-law, Tommy. Tommy is continuing to recover from his leg amputation a few weeks ago. Last week Tommy had heart surgery to try to resolve the heart complications and the low oxygen levels. Unfortunately, upon inspection it was determined that his heart is in bad shape and he will need open heart surgery but is not yet strong enough for that. That surgery is planned for a few months from now. In the meantime, the good news is that he is now home and able to begin to get adjusted to his new life at home. Please pray for quick healing and that the doctors would be able to perfectly time his heart surgery. Pray for Tommy’s spirits to remain positive and hopeful. Pray that Kyle and Tami can encourage him and his wife, Linda, with the hope that only Christ can bring! 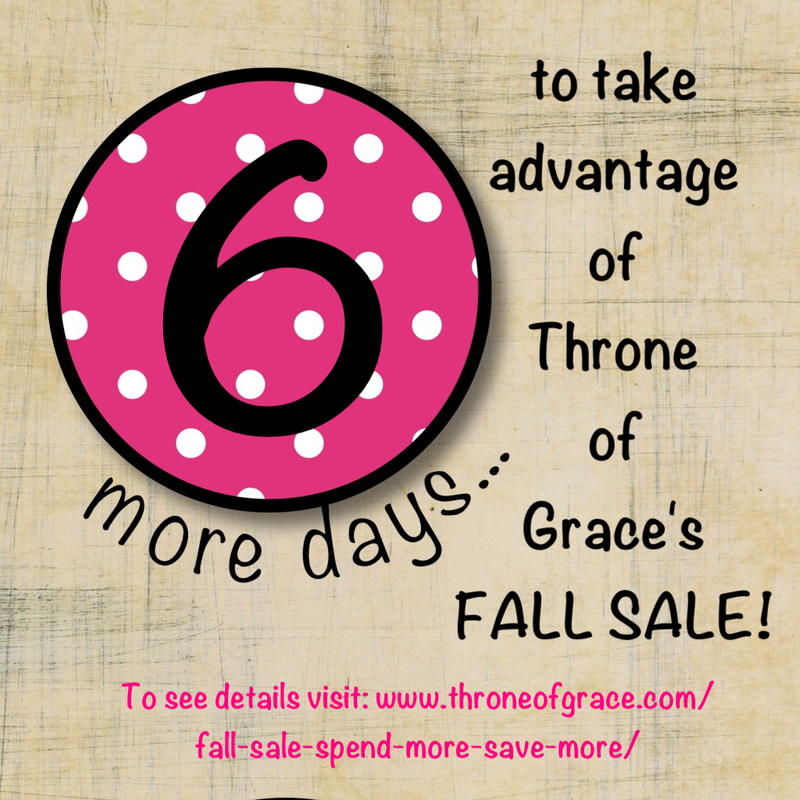 • Praise the Lord with all of us at Throne of Grace for His abundant blessings of orders this past week! We’ve had record sales in what is typically one of our slower months. We would appreciate prayer as we head into our very busy boutique season that God would give us wisdom to rightly order our priorities as we balance this ministry with our families, church, and many other responsibilities. • Finally, I would so appreciate your prayers for me! I have been asked to “guest post” on another blog this week and my written work is due Tuesday afternoon. Please pray that the Holy Spirit would guide my words and that the finished work would be the Lord’s and not mine. I have a very full week so please pray that I would be able to carve out the quiet time that I need to write and that the words would come spilling out of me quickly! 🙂 I’ll share those thoughts with you all later this week! It is wonderful to see the Lord already working through the prayers of all the Throne of Grace prayer warriors! Keep them coming! Let us know by leaving a comment below if you are joining us in prayer today. And don’t be shy about sharing your own prayer needs with us! Deadline for submission in next week’s Prayer & Praise post is FRIDAY at NOON (PST). We’d love the opportunity to pray with you! Have a great Monday and a great week!